The month of May is National Electrical Safety Month, designated by the Electrical Safety Foundation International (ESFI), and designed to promote electrical safety in the home, school, and workplace. The annual campaign aims to reduce the number of electrical-related fires, fatalities, injuries, and property loss that occur all too often. OSHA estimates there are approximately 187 electrical-related fatalities a year. Although not the deadliest, electrical hazards are disproportionately fatal when compared to other workplace hazards, and the aftermath of these tragic incidents can be extremely costly. You want to practice smart and effective electrical safety all year round, but let this month give you that extra push you need to implement safety programs or training sessions. Develop a Lockout/Tagout program – Having a lockout/tagout program will ensure machines are properly shut off and cannot be turned back on until maintenance is complete. This process is sometimes referred to as “control of hazardous energy.” Before establishing procedures for electrical energy, you will want to identify the potential source of the energy. It typically comes from a main electrical cable that goes into a machine. Other sources of traditional electricity could be a gas or diesel generator or battery backup systems. OSHA has a set of regulations, and estimate that compliance with their LOTO standard can prevent approximately 50,000 injuries a year. Take a Gemba walk – To have a complete understanding of the electrical hazards in your facility, take a walk around the space and identify dangers. Gemba walks are usually done to identify wastes or look for ways to make the facility run more efficiently, but your goal in this case is to determine potential hazards and how you will address them. Start by making a checklist of things to keep in mind while on the walk. Use the most common electrical hazards to look as a starting point: careless employees, outlets too close to conductors, torn/frayed wire, overloaded circuits, etc. Identify and record any risk, big or small, as minor hazards could have major impacts. Have a training day – Host a training day at your facility with videos, worksheets, or PowerPoints. It’s always a good time to brush up on electrical safety, and your workers will be more confident in their safety. 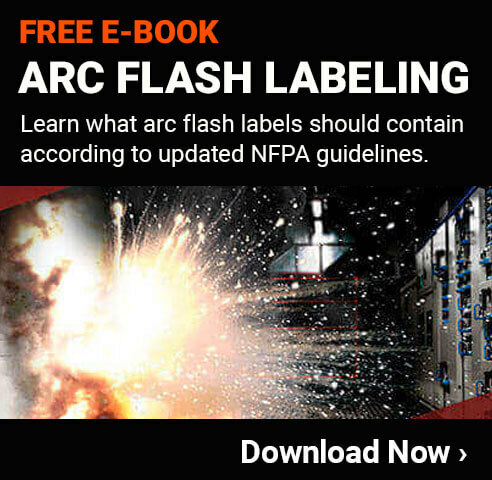 Provide a training day on general electric safety or choose a more specific focus like the dangers of arc flash or laser safety. Implement an Electrical Safety Program – Electrical safety should be sustained far past May with an electrical safety program. An example of this could be giving all your employees basic electrician courses, helping them get a general understanding of the risks associated with electrical systems and how to avoid them. The more you can teach your employees, the safer they are. Consider implementing an electrical safety training course for all new employees, and then developing a refresher course or ongoing training for existing employees.